Property 7: The Good Place-Sleeps 18 - Brand New to Market! Minutes from I-75! Property 9: 7 bedroom lake front house with 2 kitchens! Just a few Days left in AUG 2019! Property 11: Dreaming of your summer vacation? Property 12: Book Your Summer Vacation Here! Property 13: Recent cancellation for July 4th holiday! Book quickly! Property 14: "SUITE SPOT". Million Dollar View of Norris Lake! Just minutes of I75. Property 22: Wildwood House, Near The Clinch River Offers Pool, Fishing, and Hiking. Property 23: "Onawim" Lakefront Cabin! Cozy setting, private boat slip and swim platform. Property 26: Historic cabin, 150+ years rustic ante belum, hiking, fishing, relaxing. 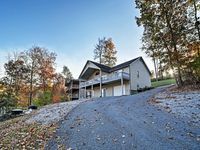 Property 28: Lavish Home w/ 2 Decks - Walk to Norris Lake! 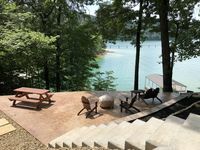 Property 30: Norris Lake Front Cottage With A Private Covered Boat Slip And Swim Platform. Property 31: Lake Front Prop, includes two kayaks, great covered dock w/ jet ski dock. Property 33: Secluded Waterfront House on Norris Lake w/ Dock! Property 34: Breathtaking View near Springs Dock with boat slip included! Property 38: Dreaming of your summer vacation? Property 42: The Little Dipper! Lake front trendy tiny home with private boat dock! Property 45: 6 Bdrm/6 Bath NorrisLake TN/PRIVATE DOCK All Bells and Whistles! Property 46: Andersonville House 1-Min Walk from Norris Lake! Property 48: Your Private Sanctuary Awaits! !